IEOM Society addresses the issues of Global Engineering Education. There are different levels of readiness of engineering graduates from various parts of the world. One of the main themes of this series is how to reduce the readiness gap around the world. The special focus is given to Industrial Engineering and Manufacturing Engineering including Engineering Management. Are the engineering graduates ready to take on the challenges of the current global economy? With the great success of Global Engineering Education Series of last IEOM conferences, IEOM 2017 Rabat Conference will have a dedicated session for the Global Engineering Education where distinguished speakers will discuss the readiness of engineering graduates for workforce around the world. Thirty six featured speakers will be from various part of the world to address engineering education challenges and opportunities. Professor Zazi Malika received the degree of engineer in automatics and industrial informatics in 1984 from School Mohammedia of Engineering, and the Ph.D. degree in electrical engineering in 2006 from Mohammadia School of engineering, University Mohammedia V Rabat. 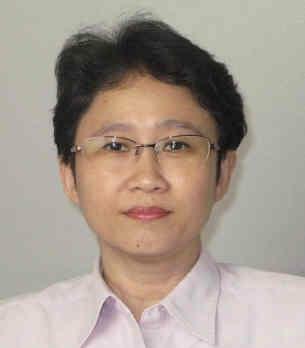 She has specialized in the linear and non linear control systems. 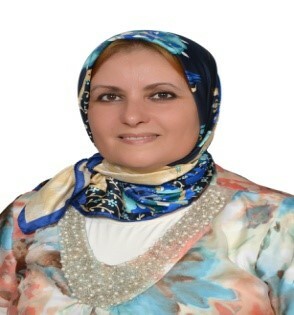 Presently, she is serving as professor and head of Electrical department at ENSET Rabat. She has over 30years of teaching experience. She is guiding some doctorate students in Renewable Energy, Diagnostic, Robust Control and Electrical Engineering. 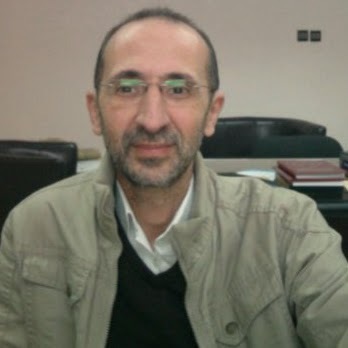 Youssef BENADADA is a Professor and Head of the Department of Informatics and Decision Support (IAD) at the National Higher School of Computer Science and Systems Analysis (ENSIAS) Mohammed V University, Head of Operational Research and Logistics research team (ROL) and Coordinator of the e-Logistics Engineering (IeL). His main research topics are petroleum products distribution, generalized fractional programming, combinatorial optimization, advanced optimization and reverse logistics. Edward J. Williams holds bachelor’s and master’s degrees in mathematics (Michigan State University, 1967; University of Wisconsin, 1968). From 1969 to 1971, he did statistical programming and analysis of biomedical data at Walter Reed Army Hospital, Washington, D.C. He joined Ford Motor Company in 1972, where he worked until retirement in December 2001 as a computer software analyst supporting statistical and simulation software. After retirement from Ford, he joined PMC, Dearborn, Michigan, as a senior simulation analyst. Also, since 1980, he has taught classes at the University of Michigan, including both undergraduate and graduate simulation classes using GPSS/HÔ, SLAM IIÔ, SIMANÔ, ProModelÒ, SIMUL8Ò, Arena®, or Simio®. He is a member of the Institute of Industrial Engineers [IIE], the Society for Computer Simulation International [SCS], and the Michigan Simulation Users Group [MSUG]. He serves on the editorial board of the Journal of Computer Engineering. During the last several years, he has given invited plenary addresses on simulation and statistics at conferences in Monterrey, México; İstanbul, Turkey; Genova, Italy; Rīga, Latvia; and Jyväskylä, Finland. He served as a co-editor of Proceedings of the International Workshop on Harbour, Maritime and Multimodal Logistics Modelling & Simulation 2003, a conference held in Rīga, Latvia. Likewise, he served the Summer Computer Simulation Conferences of 2004, 2005, and 2006 as Proceedings co-editor. He was the Simulation Applications track coordinator for the 2011 Winter Simulation Conference. A paper he co-authored with three of his simulation students won “best paper in track” award at the Fifth International Conference on Industrial Engineering and Operations Management, held in Dubai, United Arab Emirates, in March 2015. His email addresses are ewilliams@pmcorp.com and williame@umich.edu. Short Bio: V. Cruz-Machado holds a Ph.D. in Computer Integrated Manufacturing (Cranfield University, UK). He is a full professor of Industrial Engineering at Universidade Nova de Lisboa, Portugal. He is the director of the Industrial Engineering Doctoral Program and other post-graduate programs in industrial engineering, project management, lean & green sustainability and entrepreneurship. He teaches operations and production management and has published more than 300 papers in scientific journals and conferences, in addition to having supervised more than thirty Ph.D. students. His main scientific activities are directed to the design of lean and green supply chain management. He was the CEO of a large consultancy company; coordinator of a major National R&D program directed for SMEs, and; a consultant member of the commission responsible for the implementation of Horizon 2020 – the European framework program for research and innovation (2014-2020). He is the Head of the Department of Mechanical and Industrial Engineering at Universidade Nova de Lisboa, the CEO of UNIDEMI (http://unidemi.com/) and the president of the Portuguese Institute of Industrial Engineers. Bio: Falade Funso Alphonsus is a Nigerian and a Professor of civil engineering at University of Lagos, Nigeria. He earned Diploma in Quantity Surveying at Yaba College of Technology, Nigeria, in 1978. He completed his M.Sc (Civil Engineering) at the Moscow Institute of Civil Engineering in the USSR in 1984 and obtained PhD in Civil Engineering, from University of Lagos in 1998. Prof. Falade has authored over 70 articles on innovative construction materials and engineering education published in locally and internationally reputable journals as well as in proceedings of learned conferences. He has also made contributions to two (2) textbooks. In February, 2014, he made public presentation of a book titled ‘Strengthening of Distressed Buildings’. He has researched into the structural properties of bamboo and developed the technology for its successful incorporation as replacement of steel reinforcement in some structural elements. He has also researched extensively on Foamed Aerated Concrete. Prof. Falade has presented over 45 papers at workshops and seminars on such topics as Project Management, Quality Control, Maintenance of Facilities, and Contract Procurement Processes etc. 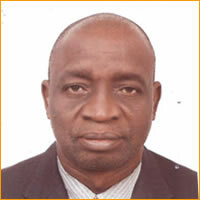 Prof. Falade is a member of some professional bodies both locally and internationally, including Fellow, The Nigerian Academy of Engineering, Fellow, Nigerian Society of Engineers, Fellow, African Engineering Education Association, Registered Engineers, Council for the Regulation of Engineering in Nigeria etc. He is a promoter of engineering education. He was the initiator of African Regional Conference on Engineering Education and the Chairman, Organizing Committee and the Editor of the Proceedings of the 1st, 2nd and 5th African Regional Conference on Engineering Education that were held at University of Lagos in 23rd – 25th September, 2002 , 20th – 22nd September, 2004 and 9th -12th September, 2013 respectively. He is the President of the African Engineering Education Association (AEEA) and former Vice-President, international Federation of Engineering Education Societies (2009-20012). He was appointed UNESCO Consultant in 2005. Dr. Soeirohas been the representative of Universidade do Porto in Continuing Education and founder of EUCEN (European Universities Continuing Education Network) since November 1991. He was vice president of EUCEN for seven years, a member of the Management Committee and was also founder of RECLA (Latin American Continuing Education Network). 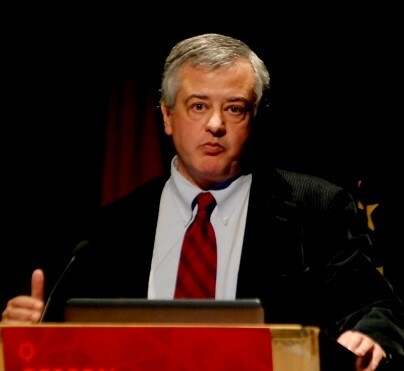 Dr. Soeiro was founder of the Continuing Engineering Education office of the College of Engineering of the University of Porto in 1995; was Pro-Rector of Universidade do Porto in charge of Continuing Education between 1998 and 2003; was founder and President of AUPEC – Portuguese Association of Universities for Continuing Education between 2001 and 2005; from 2001 until 2004 was president of IACEE, International Association of Continuing Engineering Education, Washington DC, USA; between 2003 and 2005 was president of SEFI Societe Europeenne pour la Formation des Ingenieurs; between 2004 and 2008. He was the academic director and vice-director of Civil Engineering of the University of Porto. Dr. Soeiro was a Fulbright scholar between 1985 until 1989 in the University of Florida to obtain his doctoral degree; between 1996 and 1999 was the President of the Scientific Commission of the Thematic Network THENUCE (Thematic Network on University Continuing Education); from 1999 and 2005 was a member of European ODL Liaison Committee, representing EUCEN; in 2000 was the co-chair of the conference of the Portuguese Presidency of the European Union, Higher Education and New Publics, Porto; from 2002 to 2013 he was member of the Municipal Education Council of the city of Porto, representing the University of Porto and the Higher Education sector; since 1997 until 2004 he has been an invited expert of the European Commission to evaluate projects in adult education and in thematic networks; was an invited expert of Group G of the European Commission within the framework of the Lisboa Objectives between 2002 and 2005. He was an invited speaker at the 800th Anniversary of the University of the Sorbonne in the closing session coordinated by the French minister of education, Claude Allègre, entitled the University without Walls, 1998. Dr. Soeiro published and edited the first ten editions of the newsletter of EUCEN between 1993 and 1997. He was a member of the editorial board of the Journal of Higher Education and Outreach between 2001 and 2006; has published and presented several articles in newspapers and magazines about lifelong learning, continuing education and quality of continuing education; has created and maintained the web pages of EUCEN (between 1994 and 1998) and of AUPEC since 2001; has led several lobbying activities at the European level, like the response to the Memorandum of Higher Education in 1994 and the Response to the European Quality Framework, and at the national level participating in the national meetings of AUPEC; has edited for AUPEC the management manual of centers of continuing education and the survey of industry needs of continuing education. Dr. Soeiro has coordinated, besides participating in others, several European projects sponsored by the European Commission in the areas of adult learning and continuing education and the most important ones are the Tempus project to create the continuing education center at Tallinn Technical University, the Grundtvig project to create individualized pathways Equipe and the project DAETE to develop accreditation methods for continuing education. He was invited professor of Loughborough University, UK in 1997 and 1998, University of Barcelona, Spain in 1994, 1995 and 1996, Polytechnic University of Cataluna, Spain in 2001, Technical University of Vienna, Austria in 2006, 2007 and 2009 in Innovation in Elearning and Visiting Scholar at the Institute of Higher Education, University of Georgia, Athens, USA in 2006 for three months. Dr. Soeirohas been vice-president and president of the European Society of Engineering Education; he is a member of the board of the European Journal of Engineering Education since 2001; he is one of the two guest editors of the joint edition of EJEE and the Journal of Engineering Education in 2007. Dr. Soeiro has helped the creation of the center of elearning in the University of Porto between 1999 and 2002 including the edition of continuing education courses in cooperation with other European universities; has coordinated and participated in several European projects in the areas of distance learning and elearning; has authored the second ebook in engineering of the University of Porto with the support of a portal; has authored and coordinated an ebook on construction safety that has been supported by the International Labour Organization. He is the representative of Ordem dos Engenheiros, vice-chair of the European Monitoring Committee of FEANI and chair of the OMP. He was awarded the International Hall of Fame in Adult and Continuing Education title in 2006 and received the award of EDEN Fellow in 2008. Dr. Soeiro received the IACEE Fellow award in 2014. He coordinated some European funded projects Atelcoma (1998), Equipe (2004), Daete (2006), Virqual (2009) and TALOE. He is also member of the reviewers of Campbell Award (2010/2012/2014). He was also a partner in several European funded projects like DIALOGUE, Community Service Engineer and VMCOLAB. Mustapha Nourelfath is a professor of Industrial Engineering at the Department of Mechanical Engineering of Laval University (Canada). He received his Ph.D. from the National Institute of Applied Science (INSA) of Lyon (France) in 1997. He is a member of CIRRELT (Interuniversity Research Centre on Enterprise Networks, Logistics and Transportation). His specific topics of interest are operations research and artificial intelligence applications in supply chains, reliability, logistics and manufacturing. He is Associate Editor of INFOR: Information Systems and Operational Research (Area: Queueing Theory, Stochastic modelling and simulation), member of the Editorial Board of Reliability Engineering and Systems Safety, International Journal of Performability Engineering (System Analysis and Computational Intelligence), International Journal of Mathematical, Engineering and Management Sciences, Journal of Applied Mathematics, and Mathematical Problems in Engineering. Prof. Nourelfath has received several research grants and awards, including the Brockhouse Canada Prize for Interdisciplinary Research in Science and Engineering. Khaled S. El-Kilany is a professor of industrial engineering at the department of Industrial and Management Engineering (IME) at the Arab Academy for Science, Technology, and Maritime Transport (AASTMT), which is accredited by the Engineering Accreditation Commission of ABET since 2010. The department offers both B.Sc. and M.Sc. degrees in Industrial and Management Engineering. 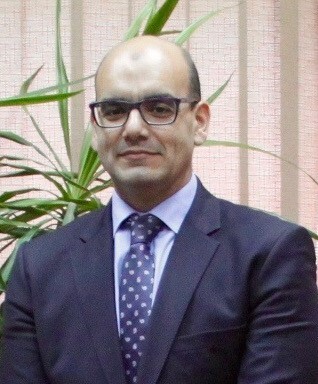 Prof. El-Kilany has previously been appointed as acting head of department of Industrial and Management Engineering for two years (February 2005 – February 2007) and is currently the head of department since February 2009. 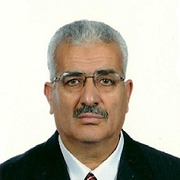 Prof. El-Kilany is a senior member of the IISE and is a reviewer of several journal, conferences, and textbooks. 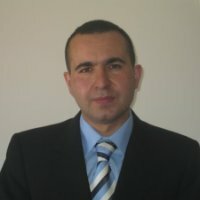 Prof. El-Kilany has received his Ph.D. in Mechanical and Manufacturing Engineering from Dublin City University, Ireland. Having Intel Ireland as the industry research partner, his research work included modelling and simulation of automated material handling system of Intel’s wafer fabrication facility Fab24, which was the second wafer fabrication facility in the world that produces 300mm wafers. Since graduation in 1997, Prof. El-Kilany has developed extensive experiences in teaching and research within the academic and professional field of Industrial Engineering. Also, Prof. El-Kilany has almost ten years of experience in the design, development, and accreditation of undergraduate and postgraduate industrial engineering curricula. He has been directly involved in all processes required for accreditation by ISO, ABET, IMechE, IET, National Authority for Quality Assurance and Accreditation in Egypt, and the Supreme Council of Universities. 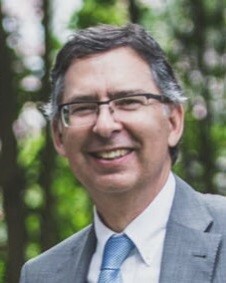 He’s an editor and reviewer of several department and college self-study reports presented to different national and international accreditation bodies in the US, UK, and Egypt; has led teams across the department and college to coordinate all departments’ efforts to satisfy these bodies’ requirements; and hosted various visits by program evaluators and examiners to the department and college. His research interests lies in the analysis and improvement of manufacturing systems performance; specifically, material flow and WIP management using discrete-event systems simulation and optimization techniques. 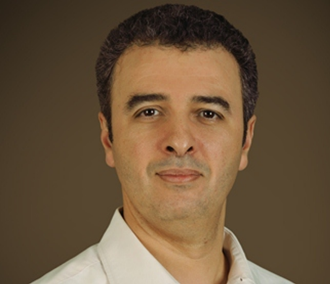 He has supervised over 15 Masters Research students to completion and is supervising a number of PhD Research students in Ireland and the U.K.
Othmane Bouhali is a research professor and director of research computing at Texas A&M University at Qatar. He is the founder and director of the Texas A&M Advanced Scientific computing (TASC) center. He was the head of the computing group at the High Energy Physics (HEP) institute of Brussels. He took important computing and simulation responsibilities in HEP experiments, mainly in the area of scientific grid computing. Since 1994 he is a member of the Compact Muon Solenoid (CMS) experiment at the Large Hadron Collider (LHC) at the European Organization for Nuclear Research (CERN). He was also a member of: the HERMES international collaboration at the Deutsche Electron Synchrotron DESY) in Hamburg and the Amanda/ICECUBE neutrino telescope at the South Pole. His research interests include: high performance computing, radiation detectors development, medical physics and 3D scientific visualization. 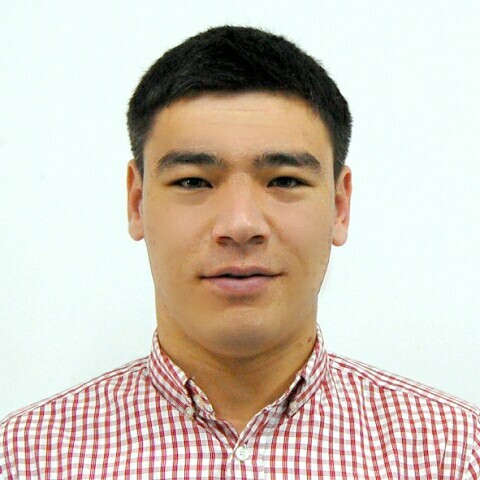 Mr. Ikboljon Kasimov is working at Andijan Machine – Building Institute, Uzbekistan, where over 3500 students are taught and in average 700 Engineering students graduate each year. He is currently involved in teaching and as well as research at the Institute. Mr. Kasimov also assists the International Relations Department in building ties with foreign institutions and enterprises. He finished his Associates in Automated Systems, Bachelor’s in Industrial Management and MBA in International Business. Mr. Kasimov has recently wrote an article, “Wider Benefits of Ph.D. beyond pecuniary terms” and it is soon to be published. Besides, he has undertaken several research projects in different production management topics. At present time, the project development team is working on 4 distinguished Erasmus+ projects where he has hold key role as an external affairs specialist including Central Asian Engineering Graduates and the significance of Engineering Education in the region. Mr. Kasimov is well aware of the challenges that HEIs encounter while training engineering specialists. Prof. Park’s field of interest is in operations management with special interest in job design and the application of information and communication technology. More specifically he has been teaching and doing research in the field of Flexible Manufacturing Systems, Computer Integrated Manufacturing Systems, Enterprise Research Planning Systems, and Supply Chain Planning Systems. Recently he is also interested in the application of RFID and the productivity measurement and management of software development process. 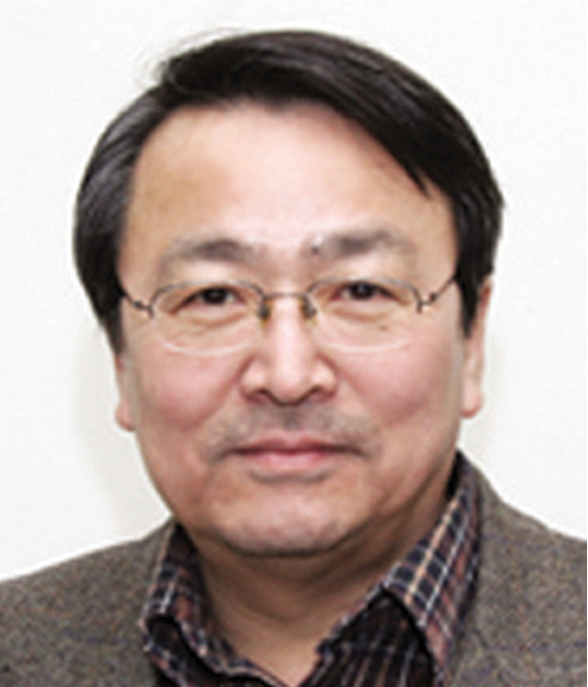 Prof. Park graduated Seoul National University in 1974, and KAIST in 1976. After then he had worked for 4 years as project engineer and production planner in Hyundai International, Inc., currently the Doosan Heavy Industries, Inc. He studied in the Department of IEOR, University of California at Berkeley during 1980~1985 and earned Doctoral degree (D.Eng.) there. Then beginning from 1985 he has been teaching in the Department of Industrial Engineering at the Seoul National University and is a former director and vice president of the Korea Institute of Industrial Engineers (www.kiie.org), and president of the Korea Operations Research and Management Science Society (www.korms.org) and the Korea Simulation Society (www.simulation.or.kr). He has taught, consulted and performed projects with such group of companies like Samsung, Hyundai and LG. 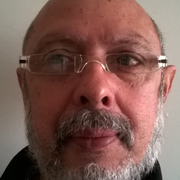 Dr. Antonio Araujo is a professor and researcher in the Department of Production Engineering at the State University of Rio de Janeiro, teaching in undergraduate and postgraduate engineering production courses and programs. He graduated in Transport Engineering by a prestigious German University (Bergische Universitaet Wuppertal) and concluded his doctorate at the University of Sao Paulo, Brazil in the Production Engineering area, having published the thesis “Productivity analysis of the Brazilian air transportation”. Dr. Araujo has 20 years of experience in the automotive industry (Mercedes-Benz, Brazil) and 5 years in the strategic planning of the aeronautical industry (EMBRAER, Brazil). He is serving as an area editor of Journal of Aerospace Technology and Management review (JATM). Dr. Araujo had attended the IEOM conferences in Istanbul and Dubai. 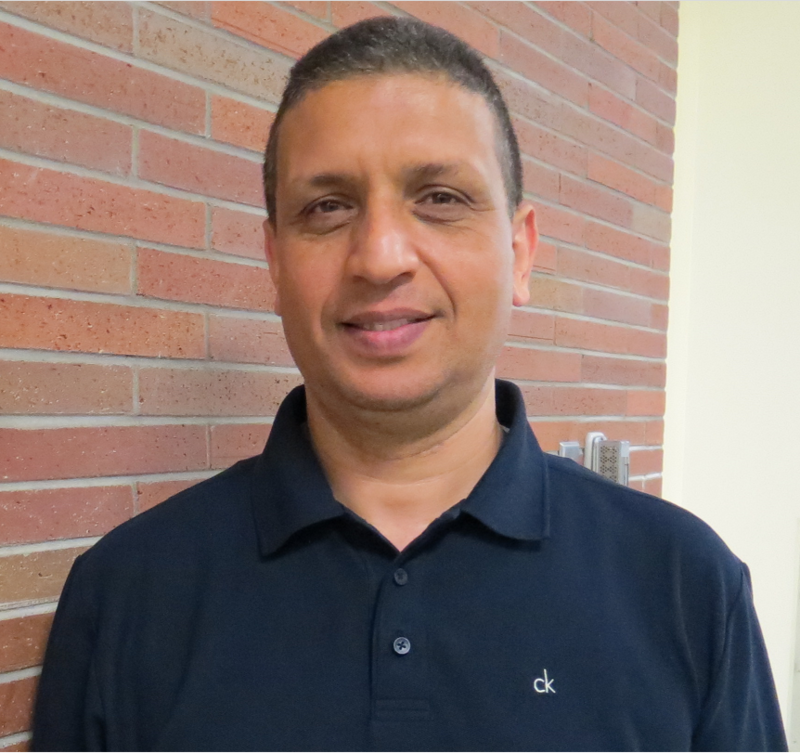 Dr. Mohammad Khasawneh is a Professor and Chair in the Department of Systems Science & Industrial Engineering (SSIE) at Binghamton University. He received his Ph.D. in Industrial Engineering from Clemson University, South Carolina, in August 2003, and his B.S. and M.S. in Mechanical Engineering from Jordan University of Science and Technology, Jordan, in 1998 and 2000, respectively. 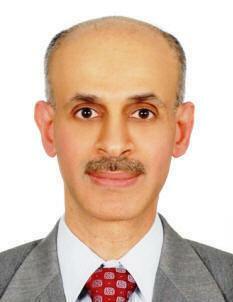 Dr. Khasawneh joined Binghamton University (SUNY) in the Fall of 2003. His research areas of interest are in human factors/ergonomics and modeling of healthcare delivery systems. Before joining the SSIE department, he worked as a graduate teacher of record and research assistant in the Industrial Engineering Department at Clemson University. He also served as manager for the Advanced Technology Systems Laboratory (ATSL) where he was actively involved in various projects funded by the FAA and NASA, with significant focus on improving inspection quality on the hangar floor through the use of advance technology, such as virtual reality and computer-based simulations. Dr. Khasawneh currently serves as Assistant Director for the Watson Institute for Systems Excellence (WISE), an institute for advanced studies at Binghamton University. He also directs research in the Human Factors and Ergonomics Laboratory (HFEL). In the healthcare delivery systems area, through WISE, he has been actively working on applied health systems research since 2003. Since then, he has been leading or co-leading a wide spectrum of projects with multiple U.S. hospital systems, at their site, that focus on applied research projects that can be broadly classified under (a) workflow and process re-design, (b) productivity assessment and capacity planning, (c) strategic planning and future-state analysis, and (d) digital human modeling for ergonomic assessment. Examples of his research include significant amount of work in optimizing the use of OR suites, outpatient scheduling, pre-admission testing, optimizing the deployment of mobile intensive care units, as well as ergonomic study and evaluation of patient handling activities/procedures, to name a few. These efforts have been supported through partnerships with several U.S. hospitals systems, including United Health Services (Binghamton, NY), Upstate University Hospital (SUNY, Syracuse, NY), Virtua Health (Marlton, NJ), Montefiore Medical Center (Yonkers, NY), the Care Management Organization (Yonkers, NY), and the Mayo Clinic (Rochester, MN). 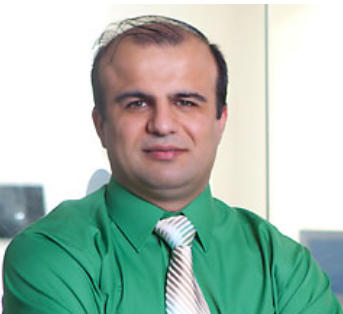 Dr. Khasawneh’s research activities thus far have led to over 25 scholastic publications in various refereed journals (with over 10 more in review), over 75 conference articles that have been presented at national and international conferences, and one patent application and two new invention disclosures. In addition, his sponsored research efforts thus far have resulted in about US$2,153,520 (external sources), US$375,692 (internal sources), and US$39,145,185 in in-kind software grants. His research group currently consists of 8 doctoral students, 5 MS students, and 1 undergraduate student. Dr. Khasawneh is a member of the Institute of Industrial Engineers (IIE) and the American Society for Quality (ASQ) professional societies, as well as Alpha Pi Mu and Alpha Epsilon Lambda honor societies. He is also currently the faculty advisor for the IIE Student Chapter at Binghamton University. Dr. Chris Backhouse is Professor of Product Innovation at Loughborough University, UK with extensive knowledge and experience of Higher Education in the Middle East and South East Asia. He is a regular international presenter in his field of innovation and entrepreneurship with extensive links with Universities in Singapore, Hong Kong, Malaysia, Indonesia, China, and Egypt. 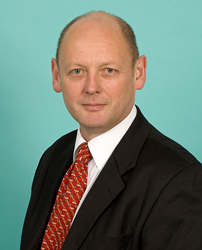 He advises on research and enterprise strategy and on taught curriculum content. He is a mechanical engineer by background having obtained his PhD whilst employed by Unilever Plc. In 1990 he joined Loughborough University where he has held various senior positions including Dean of the Faculty of Engineering (150 Faculty, 5000 students) and as Director of Internationalization Strategy – responsible for the University’s strategic international partnerships. He has consulted widely in industry and academe, especially in the Asia Pacific region. His research activities have focused on the human aspects of motivation, innovation and entrepreneurship within an industrial context. He has published widely in the academic press and presented at numerous international conferences. 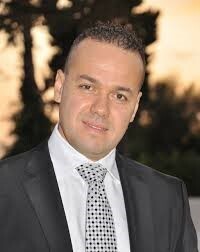 Nidhal Rezg is a Doctor of Industrial Automatic from the National Institute of Applied Sciences (INSA) in Lyon in 1996. Accreditation to supervise research at the University of Metz in 2003. he was Professor at the Faculty of Engineering of the University of Moncton, New Brunswick Canada from 1997 to 1999 and Associate professor at the University of Metz until 2004, and currently holds the position of Professor of University. He is director of LGIPM laboratory since October 2006 and scientific responsable of the INRIA CusTom team from 2007 to 2011. His research interests is the optimization of maintenance policies coupled to production, the optimal control SED. He is the author of sixty papers in international journals, directors of 12 theses and 4 Accreditation to supervise research. Keywords research are modeling, simulation and optimization of stochastic processes, reliability and maintenance and Petri nets. Allen G. Greenwood, Ph.D., P.E. Allen G. Greenwood, Ph.D., P.E. Allen is Professor Emeritus of Industrial and Systems Engineering at Mississippi State University (MSU) and is currently Professor of Engineering Management at Poznan University of Technology (PUT) in Poland. Allen teaches systems simulation, logistics systems design, enterprise systems engineering, and project management. His research interests/expertise include the design and analysis of production and project systems; simulation modeling, analysis, and optimization; and the design and application of decision-support systems. His professional experience spans a wide variety of domains — engineering design and development (military aircraft and aerospace), manufacturing and production systems (military aircraft, shipbuilding, automotive, textile fibers, healthcare, and electrical systems), and project management. His work has been funded by such organizations as the US Air Force Research Laboratory, Office of Naval Research, Naval Sea Systems Command, NASA, Northrop Grumman Ship Systems, Nissan North America, General Electric Aviation, and the Center for Advanced Vehicular Systems (MSU). He has authored or co-authored over 100 creative works, including journal and conference papers, technical reports, software programs, etc. He is co-author of Simulation Modeling and Analysis Using FlexSim. Allen received his B.S.I.E, M.S.I.E, and Ph.D. (Management Science) degrees from North Carolina State University, University of Tennessee, and Virginia Tech, respectively. In addition to the faculty positions at MSU and PUT, he held positions at American Enka Company, General Dynamics Corporation, Virginia Tech, Northeastern University, the American University of Armenia, and Prince Sultan University. 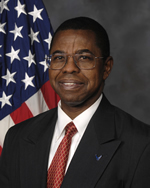 Adedeji Badiru is SES-Equivalent Dean of the Graduate School of Engineering and Management at the Air Force Institute of Technology (AFIT) at Wright Patterson Air Force Base, Dayton, Ohio. He was previously Professor and Head of Systems Engineering at AFIT. He was also previously Professor and Head of Industrial & Information Engineering at the University of Tennessee, Knoxville. Prior to that, he was Professor of Industrial Engineering and Dean of University College at the University of Oklahoma, Norman. He is a registered professional engineer (PE), a certified Project Management Professional (PMP), a Fellow of the Institute of Industrial Engineers, and a Fellow of the Nigerian Academy of Engineering. He has BS in Industrial Engineering, MS in Mathematics, and MS in Industrial Engineering from Tennessee Technological University, and Ph.D. in Industrial Engineering from the University of Central Florida. His areas of interest include mathematical modeling, project modeling and analysis, economic analysis, and productivity analysis and improvement. He is the author of several books and technical journal articles. He is the editor of the Handbook of Industrial & Systems Engineering. 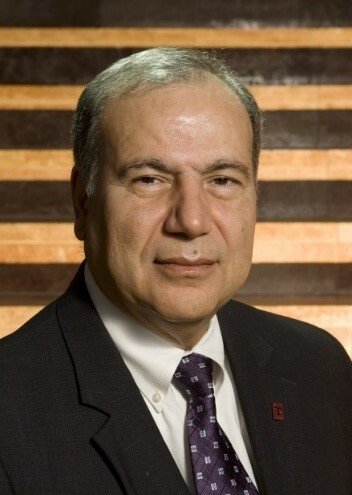 He is a member of several professional associations including Institute of Industrial Engineers (IIE), Institute for Electrical and Electronics Engineers (IEEE), Institute for Operations Research and Management Science (INFORMS), American Society for Engineering Education (ASEE), New York Academy of Science (NYAS), and Project Management Institute (PMI). He has served as a consultant to several organizations around the world including Russia, Mexico, Taiwan, Nigeria, and Ghana. He has conducted customized training workshops for numerous organizations including Sony, AT&T, Seagate Technology, U.S. Air Force, Oklahoma Gas & Electric, Oklahoma Asphalt Pavement Association, Hitachi, Nigeria National Petroleum Corporation, and ExxonMobil. 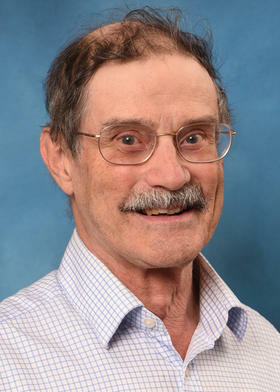 He has won several awards for his teaching, research, publications, administration, and professional accomplishments. He holds a leadership certificate from the University Tennessee Leadership Institute. Prof. Badiru has served as a Technical Project Reviewer, curriculum reviewer, and proposal reviewer for several organizations including The Third-World Network of Scientific Organizations, Italy, National Science Foundation, National Research Council, and the American Council on Education. He is on the editorial and review boards of several technical journals and book publishers. Prof. Badiru has also served as an Industrial Development Consultant to the United Nations Development Program. He was the 2011 Federal Employee of the Year Award in the Managerial Category, International Public Management Association, Wright Patterson Air Force Base. He has also received other national and international awards and recognitions. Professor Christian Amaechi Bolu, graduated with B,Sc in Mechanical Engineering from University of Nigeria, Nsukka in 1976, M.Eng in Industrial Engineering from University of Toronto, Canada in 1979 and Ph.D in Industrial and Systems Engineering from University of Wales, Swansea , United Kingdom in 1982. Prof Bolu, a professor of Mechatronics Engineering, is a practicing engineer with engineering industry work experience spanning over 27 years. He ran several multi-national engineering companies in Nigeria, Ghana and Kenya at top technical and management levels. He was instrumental to setting up of the first CNC wire-cutting machine in Nigeria, in the late 1980s as well as the first automated powder coating plant in Nigeria. He was the developer of one of the early Enterprise Resource Planning solutions widely used in engineering manufacturing plants in Nigeria, Ghana and Kenya. 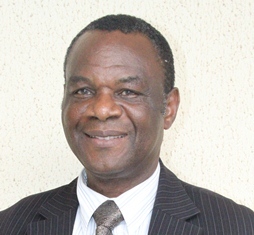 Prof Bolu, a Fellow of the Nigerian Academy of Engineering, Fellow of both the Nigerian Society of Engineers and Nigerian Institution of Industrial Engineers was a one-time Chairman of the Nigerian Society of Engineers (Lagos Branch), National Technical Secretary of the Nigeria Society of Engineers and President of the Nigerian Institution of Industrial Engineers. He is an SAP Certified Solution Consultant. His present special interest area is in Mechatronics System Design for community development, Internet of Things (IoT) and Rapid Prototyping. He is presently the Dean, College of Engineering, Covenant University, Ota, Nigeria, after serving as pioneer Dean, Faculty of Engineering, Federal University Oye-Ekiti, Nigeria from 2012-2015. 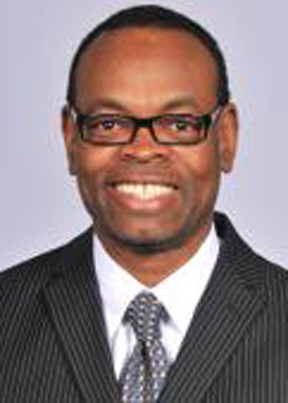 Leslie Monplaisir, Associate Professor of Industrial and Systems Engineering, is Chair of the Department of Industrial and Manufacturing Engineering at Wayne State University (WSU). He is a Lead Researcher and Director of the Product Development and Systems Engineering Consortium (PDSEC) at WSU. 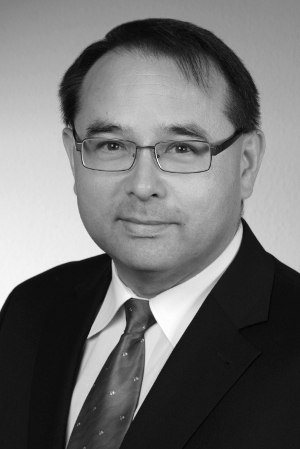 His research interests include: Lean Product Development, Design for lean Systems and Services and Design reuse, Collaborative PD Decision Making, Product Architecture Optimization, Design for Supply Chain, Global Product Platform Optimization and Healthcare Technology System Design He has authored over 100 publications in these areas with funded research from NSF, Ford, GM, Sun Microsystems, Tardec, VA and PTC. Monplaisir joined the College of Engineering at Wayne State University in the Department of Industrial and Manufacturing Engineering in 1996 from Florida A & M University where he was a visiting assistant professor. He earned his PhD in Engineering Management from the Missouri University of Science and Technology (MUST), a master’s in Computer Integrated Manufacturing from the University of Birmingham in Great Britain, and bachelor’s in Mechanical Engineering from the University of the West Indies in Trinidad. 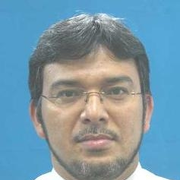 Berhannudin is an Associate Professor at Universiti Tun Hussein Onn Malaysia and received his tertiary education in TESL and TESOL at Universiti Teknologi Malaysia and University of Manchester. He was Director of Teaching and Learning, Director of Center for Humanities and Communication Studies and Director of Continuing Education Center. He was Chair for UTHM Problem-Based Learning Task Force and instrumental in the design of UTHM’s PBL learning infrastructure. Berhan was also an institutional member of the UNESCO Problem-Based Learning Center based at Aalborg University, Denmark. 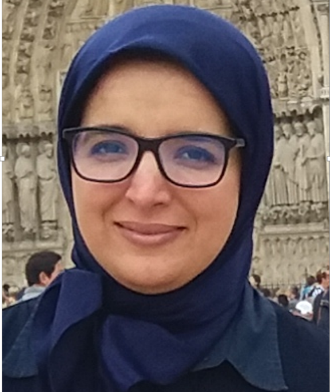 Researchwise, Berhan has been supervising research students and writing, publishing, presenting in numerous national and international platforms. He is now leading a multidisciplinary and multi-institutional based research in Problem Based Learning. He has won Gold, Silver and Bronze medals for research and innovations in PBL. Berhan is actively involved in consultancy and training projects in TESL and PBL nationwide. Currently, Berhan is the Principal Trainer on PBL for the Ministry of Higher Education, Malaysia. Hesham K. Alfares is Chairman and Professor in the Systems Engineering Department at King Fahd University of Petroleum & Minerals, Dhahran, Saudi Arabia. He obtained a BS in Electrical & Computer Engineering from the University of California, Santa Barbara, an MS in Industrial Engineering from the University of Pittsburgh, and a Ph.D. in Industrial Engineering from Arizona State University. His research interests include project and employee scheduling, production and inventory control, petrochemical industry modelling, and maintenance modelling and simulation. He has 95 publications in these and other areas, including 47 journal papers. He has been a member in the editorial boards of three international journals and in the program committees of 27 international conferences. 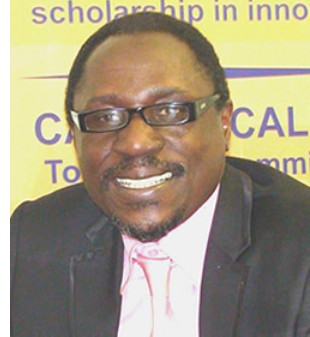 Perkins Muredzi is currently the Executive Dean of the School of Industrial Sciences and Technology and School of Engineering and Technology at the Harare Institute of Technology, Harare, Zimbabwe and a 2015 Global CIMA Award winner in “education Leadership” conferred at the 2015 World Education Congress, Mumbai, India. International Journal of Science, Technology, and Society. Dr. J.S. 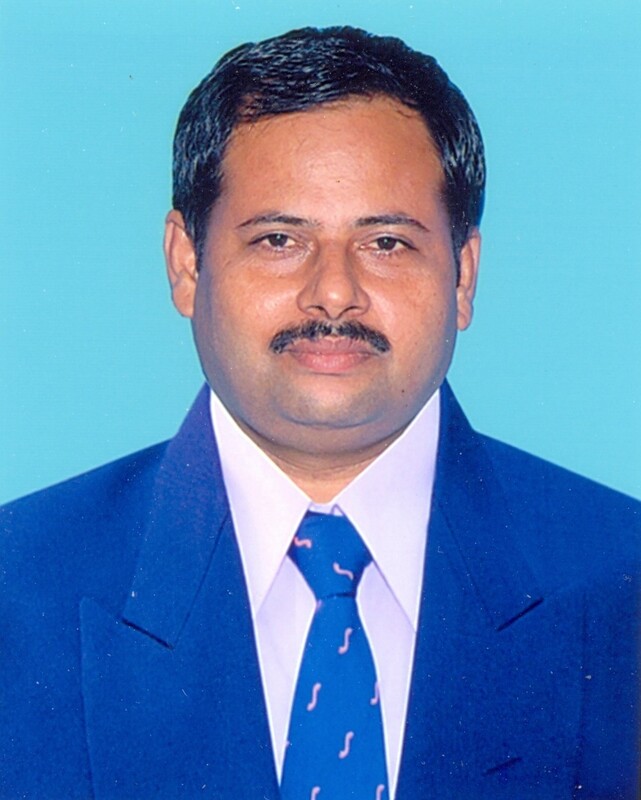 Gnanasekaran is the Professor of Mechanical and Industrial Engineering and Principal of K.L.N. College of Information Technology, affiliated to Anna University Chennai located in Madurai- Nedungulam Road near Madurai City in India. He holds B.E. Degree in Mechanical Engineering from Thiagarajar College of Engineering, Madurai under Madurai Kamaraj University and M.E Degree in Industrial Engineering from the same institution and University. He was awarded Doctorate Degree in Mechanical Engineering from Bharathiar University, Coimbatore, through Government College of Technology, Coimbatore, India. He has taught engineering students at the undergraduate and the postgraduate levels for 25 years and has guided many students of B.E. and ME projects. He has also had some industrial experience in his career. Presently he is guiding many PhD scholars and having produced doctorate candidates. He is a research paper reviewer in many Journals and conferences at National and International levels. His research interests are Manufacturing Optimization, Concurrent Engineering, Logistics Engineering, Product Design, Mathematical Modeling and Algorithm Development. 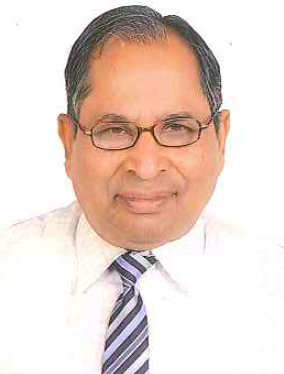 He has published 38 papers in Journals and conferences at National and International levels till date. He has received and associated in receiving research grants from recognized government funding agencies. He has received four awards so far. He is a recognized research supervisor for Anna University Madurai and Coimbatore regions. 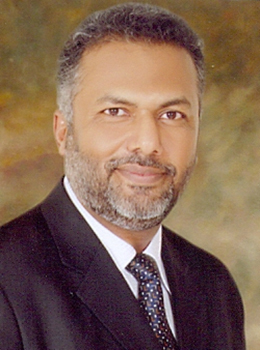 He is a Research Paper Reviewer and Session Chair in many reputed conferences and journals worldwide. He has written two books so far in the area of Manufacturing Technology and Production Planning optimization techniques. He has organized and participated in many conferences, seminars and workshops and he is the resource speaker for such programmes. He is the expert member in many interview panels and mock accreditation of institutions. He is the member in Examination board in Institution of Engineers (India), Kolkata, Cochin University of Science and Technology, Cochin, Anna University Chennai, Karunya University, Coimbatore, SASTRA University, Thanjavur etc. 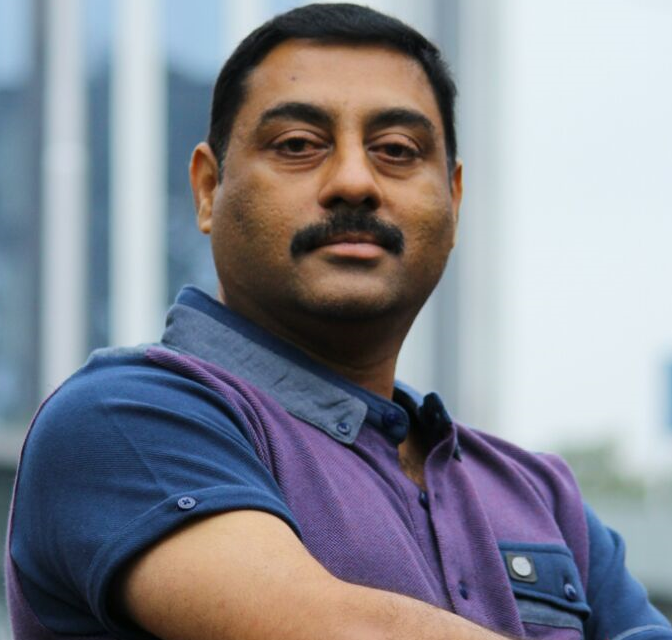 He is a Life member of Indian Society for Technical Education, New Delhi, Computer Society of India and International Association of Engineers, Hong Kong. He is a Fellow of Institution of Engineers (India), Kolkatta. Bio: Dr. Abdelaziz BERRADO is an Associate Professor of Industrial Engineering at EMI School of Engineering at Mohamed V University. He earned MS/BS in Industrial Engineering from same institution, an MS in Industrial and Systems Engineering from San Jose State University, and a PhD in Decision Systems and Industrial Engineering from Arizona State University. His research interests are in the areas of Data Science, Industrial Statistics, Operations and Supply Chain Modelling, Planning and Control with application in different industries. His research work is about developing frameworks, methods and tools for systems’ diagnostics, optimization and control with the aim of operational excellence. He published several papers in international scientific journals and conferences’ proceedings. In addition to academic work, he is a consultant in the areas of Supply Chain Management, Data Mining and Quality Engineering for different Industries. He was also a senior engineer at Intel. He is member of INFORMS and IEEE. Engr. Prof. Adagbonyin Moses O. Obiazi was born at Agbor in Delta state. He attended the prestigious Ika Grammar School, Agbor from 1974 to 1979 obtaining the West African School Certificate with Distinction. He proceeded immediately to the University of Benin to study Electrical/Electronics Engineering, graduating in 1984 with 2nd Class Hons, Upper Division. He had his Masters Degree in Electrical Engineering from the University of Lagos in 1991 and capped it with a PhD in Electrical Power and Machines from Ambrose Alli University, Ekpoma, supervised by the renowned Engr. Prof. Philip Kuale. Prof. Obiazi started his working career in the Federal Polytechnic University, Auchi in 1985 after his NYSC in Sokoto State. In the quest for higher levels of engagement, Engr. Obiazi joined the services of then Bendel State University, Ekpoma (now, Ambrose Alli University) in 1987 where he has risen through the ranks from Graduate Assistant to his current status as a Professor of Electrical Engineering and Dean of the Faculty of Engineering and Technology. He was the Head of Department of Electrical/Electronics Engineering [1997-1999], Sub-Dean of the Faculty of Engineering and Technology, Member of the University Senate and Member/Chairman of over 40 University committees/panels. He is currently serving as the Chairman of the Central Bank intervention Projects in Ambrose Alli University. At the professional level, Engr Prof Obiazi was elected a corporate member of the Nigerian Society of Engineers [NSE] in 1993. As an active member of NSE, he was made Secretary, NSE, Ekpoma Branch from 1994-1997 and Chairman of the Branch for five years (1997-2002). During his Chairmanship, the branch won a national merit award as the Most Improved Branch in Nigeria. In 1999, he was made a life member of NSE. He has been a member of the National Executive Council of NSE from 1997 t0 2002 and from 2012 to date. He has served in several committees of NSE at both national and local levels. NSE national committees such as Finance and General purpose Committee, Education and Training Committee, Awards and Endowment Committee, Conference Planning Committee, Codes and Standards Committee among others. As a registered Engineer with COREN (Council for the Regulation of Engineering in Nigeria), COREN in 2006 made him a member of Engineering Regulation and Monitoring (ERM) Committee. He has also served as a member of COREN accreditation team to some eight universities and two polytechnics. For eleven years (2001-2012), he was an External Examiner to the Petroleum Training Institute (PTI), Effurun, and since 2011, External Examiner to Delta State University,Abraka. In 1991, Engr. Obiazi was sponsored by UNESCO to Kumasi, Ghana to present a research paper at an International Engineering Conference, while in 2013, he was sponsorsed to the Conference of the Global Engineering Deans Council [GEDC] held in Chicago, USA. In 1994, the Delta State Government appointed him as a Member of the Delta State Public Utilities Board (PUB). In May 2013, Engr. Prof OBIAZI was appointed the National Secretary of the Committee set up by COREN [Council for the Regulation of Engineering in Nigeria] to develop COREN Minimum Benchmarks for the training of Engineers in Nigerian Universities. In 2006, Shell Petroleum Development Company (SPDC) appointed Engr. Obiazi as a research advisor on sabbatical to help with the construction and installation work on the new Afam VI power station in Rivers State. In March, 2010, the Edo State Government appointed Engr. Prof. Obiazi as a member of the Governing council of Edo State Institute of Technology and Management, Usen (a polytechnic),a position he held till Sept, 2012. Engr. Prof. Obiazi has received several awards from students, staff, religious and professional bodies and groups for outstanding contributions to engineering, education, national development and socio-cultural advancement. Engr. Prof. Obiazi is well published in both local and foreign journals and has presented papers in several local and international conferences. In Sept, 2012 Eng. Prof .Obiazi was elected the Chairman, Committee of Deans of Engineering and Technology of Nigerian Universities. 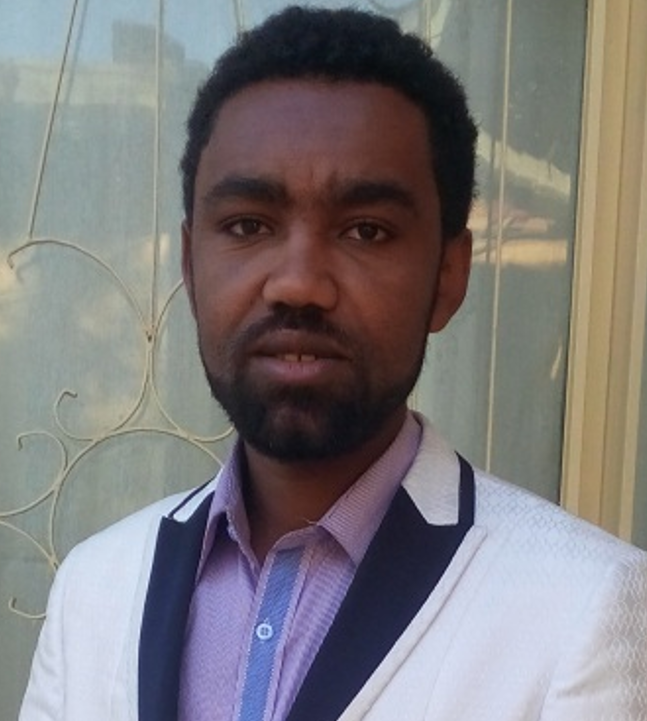 Abebayehu Abdela is currently working as an instructor and researcher at Ethiopia Institute of Technology-Mekelle, under School of Mechanical and Industrial Engineering. He has mechanical Engineering background followed by postgraduate degree specialization in production and industrial systems engineering. He has been teaching different manufacturing engineering courses and researching in different areas of which Lean manufacturing philosophy, lean principles adaptation to different industries, leanness reading and rapid plant assessment to facilitate best lean principles adaptation are the main one. In line with this he has been transferring the research finding on how to read leanness level on continues basis and how to assess a given plant rapidly to identify critical area to focus on in the form of training and hand on practices. He has also been participating on diverse workshop and presented his work on different international and national conferences. Moreover, he has been conducting a research on different areas including, biomass and allied waste gasification system design and manufacturing, material characterization for different application, design and prototyping of intermediate mode of transportation, Kaizen philosophy. Also, He has been advising final year thesis for engineering students at both bachelor and masters level in different areas. Prof. Dr. Christoph Wunck holds a full professorship for Business Information Systems at Jade University since 1999. He teaches courses on Distributed Applications, Software Engineering, Programming, Electronic Business Systems and Process Management. He holds a doctoral degree from the faculty of Mechanical Engineering and a Master’s degree (Diplom-Ingenieur) in Electrical Engineering, both from RWTH Aachen University. 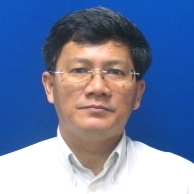 He is the current director of the Institute of Information Processing in Plastics Manufacturing at Jade University. Prof. Dr. Wunck is well connected in his field. He serves in the management of conferences and is a reviewer for conference papers and books. 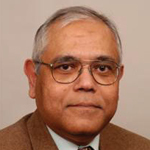 He is a member of IEEE Industrial Electronics Society, IEOM, INFORMS, ISCA, ISACA and VDI. Dr. Kamran Ahmed Siddiqui is an Associate Professor in Department of Marketing at College of Business Administration (CBA), University of Dammam, Saudi Arabia. He has earned Ph.D. in Business Administration from University of Manchester, Manchester, UK, MA in Marketing Practice from University of Bradford, Bradford, UK, MBA-MIS from Institute of Business Administration, Karachi, Pakistan and B.Sc. from University of Karachi, Karachi, Pakistan. Dr. Siddique has certifications in Microsoft Certified Systems Engineer (MCSE), Microsoft Certified Trainer (MCT), Certified Novell Engineer (CNE) and Certified Novell Administrator (CNA). He has worked as a faculty member at DHA Suffa University, Karachi, Pakistan, Institute of Business Administration, Karachi, Pakistan, Gift Business School, Gujranwala, Pakistan, University of Management& Technology, Lahore, Pakistan and University of Management& Technology, Lahore, Pakistan. He has numerical journal and conference publications.